Why: To recharge a car with a dead battery. Where to keep them: In the trunk of your car. Why: To treat any minor post-accident injuries. Where to keep it: In your glove box or back seat. Why: Patching a leaky tire. Where to keep it: In the trunk of your car. Why: Illuminate nighttime tire changes or engine checks. Where to keep it: In your glove box. Why: Stay fed and hydrated if you're stranded for a stretch of time. Why: To ensure you can make an emergency phone call. 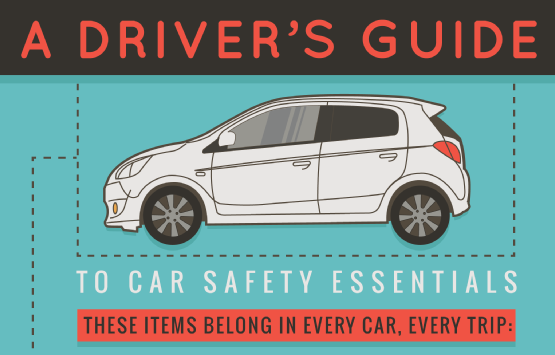 Where to keep it: In your center console or glove box. Why: To stay warm if you're stranded and there is cold temps. Why: To take any pictures/notes after an accident. Where to keep them: In your glove box. Why: To pay for unexpected tolls or emergency gas top offs. 11. Glass Hammer/Seatbelt cutter "life hammer"
Why: To cut a seatbelt after an accident or break glass from inside if car enters water. Where to keep it: In your glove box or on a key chain. Check out our Hyundai Roadside Assistance Kit.